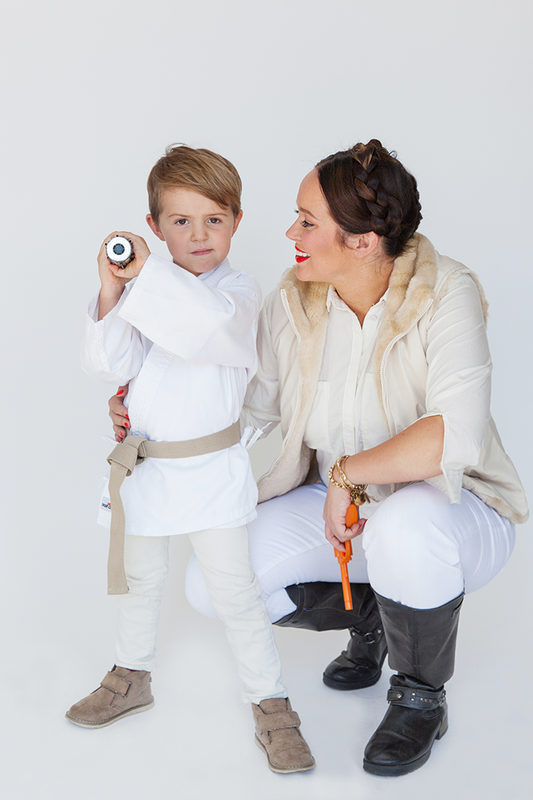 First up are the classic characters from Star Wars: Leia, Han Solo and a mini Luke Skywalker. 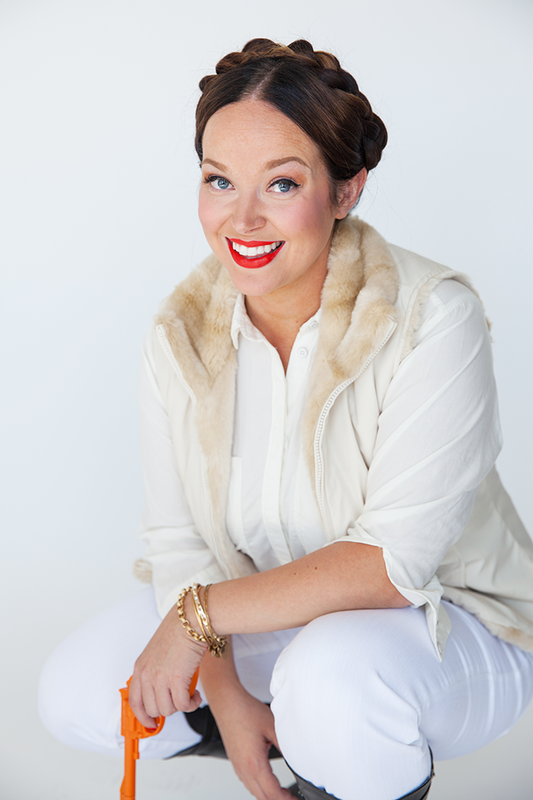 All of the ideas this week can easily be transitioned into a larger family group as well. 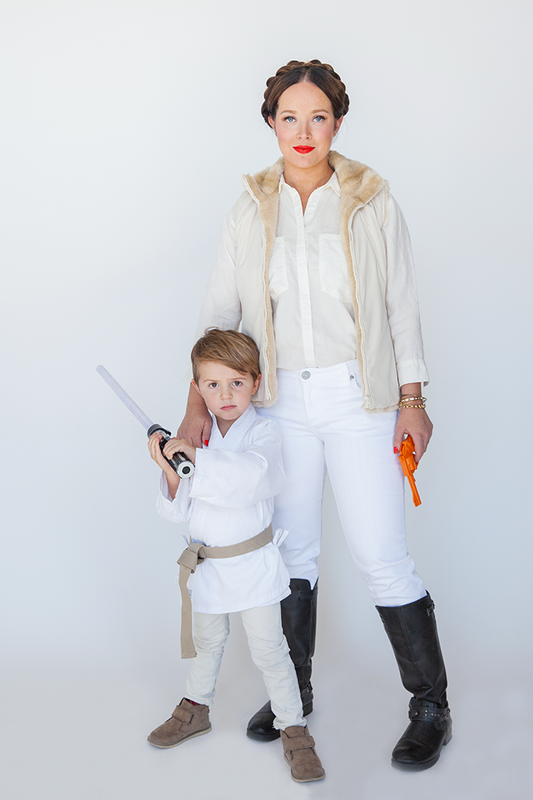 For this Star Wars theme you could add more Jedi knights, Darth Vador, Storm troopers or even a mini Ewok like Ashley did here last year. 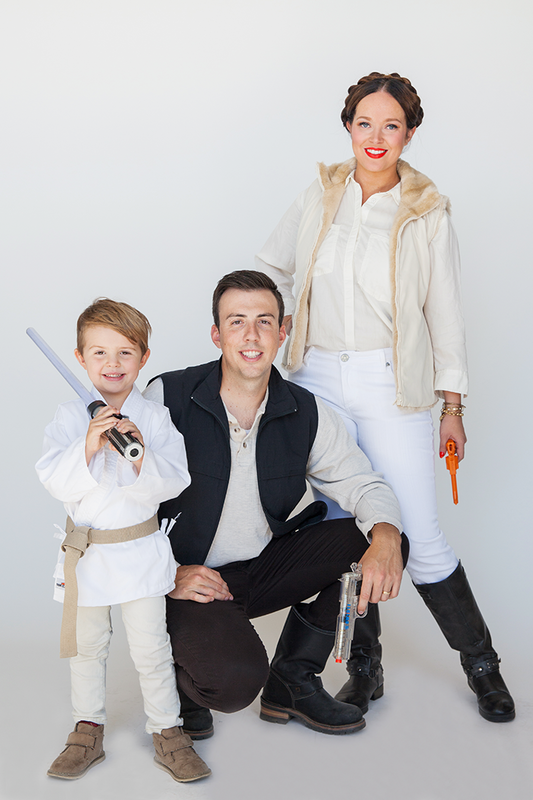 This doesn’t have to be for a family either, a group of friends could pull this off too! 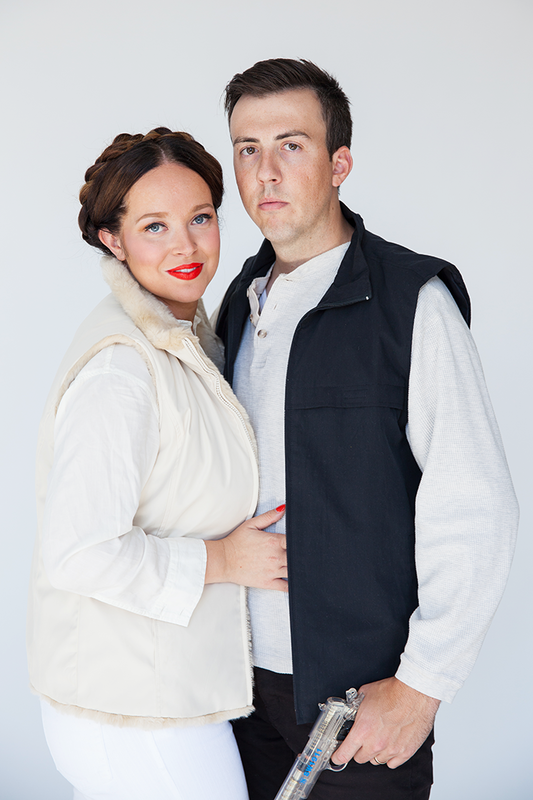 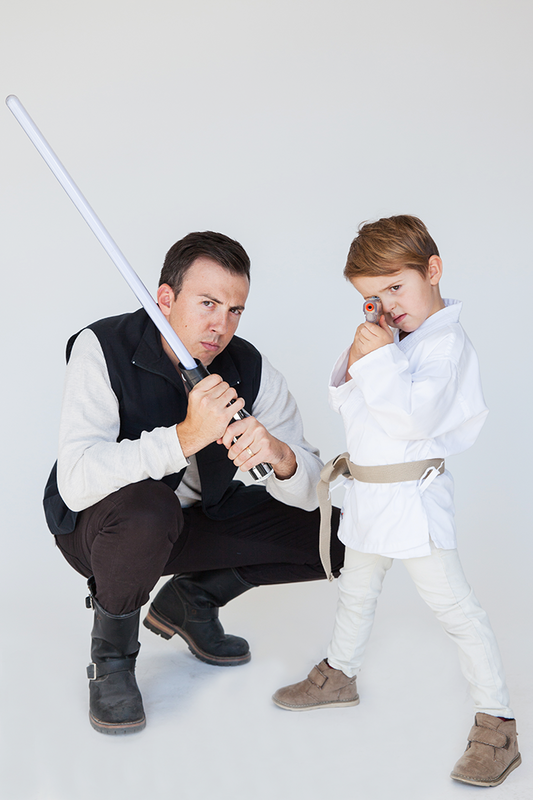 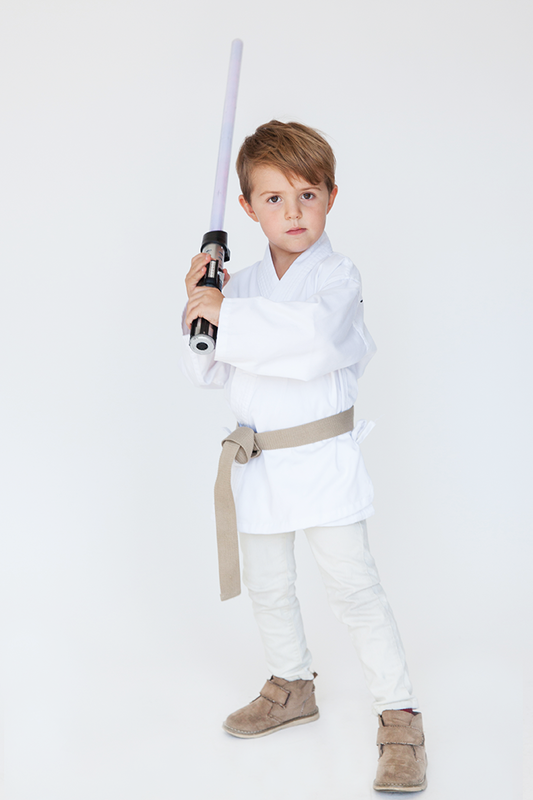 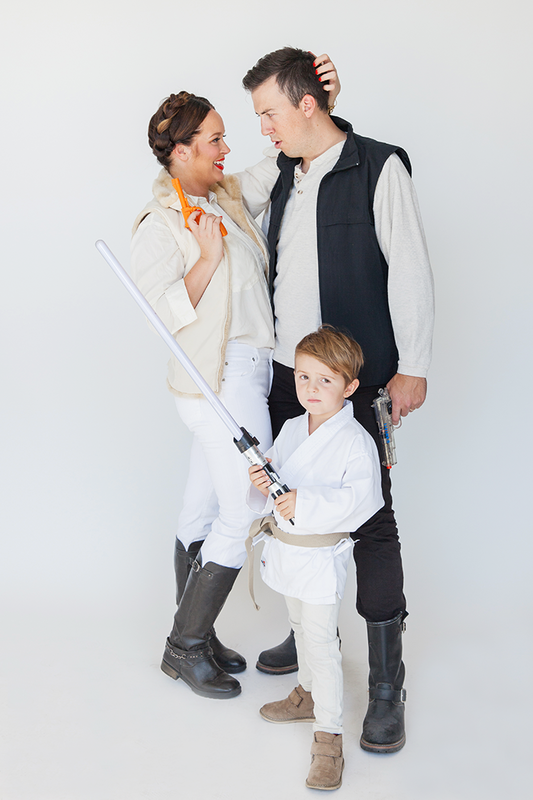 The post Halloween Family Costumes: Star Wars appeared first on Say Yes.